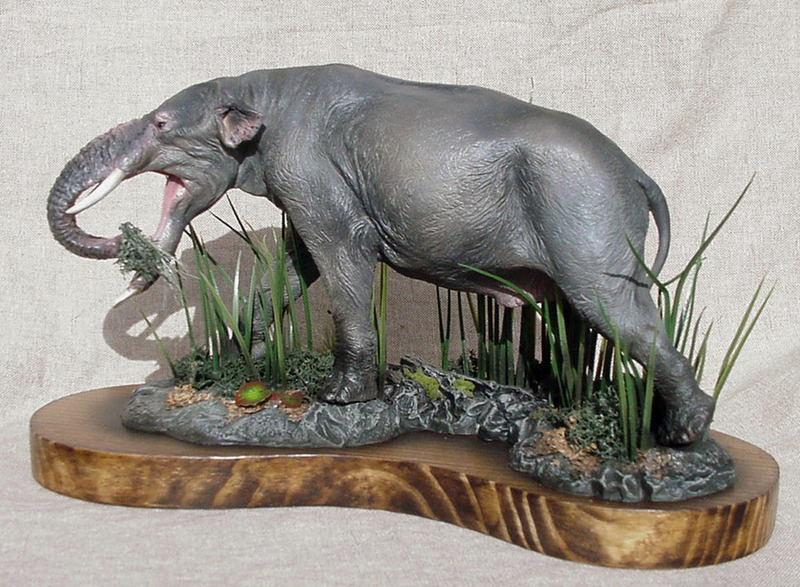 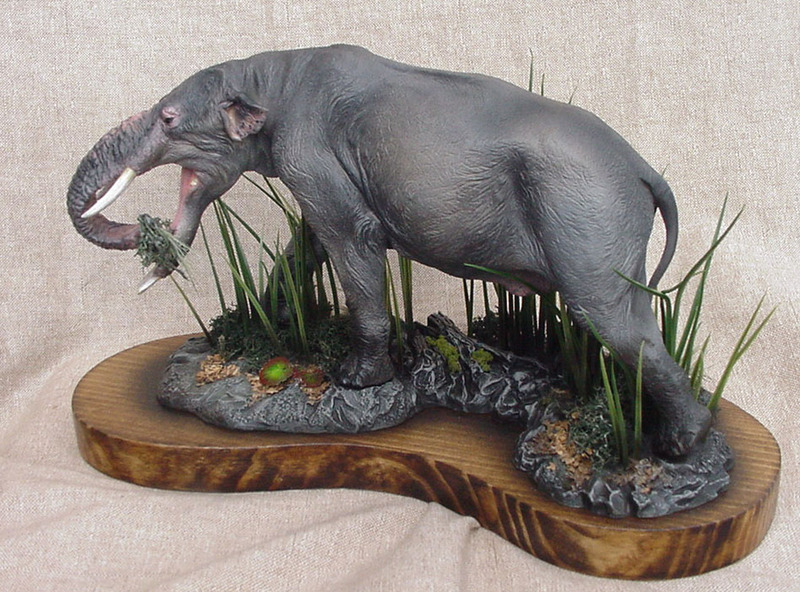 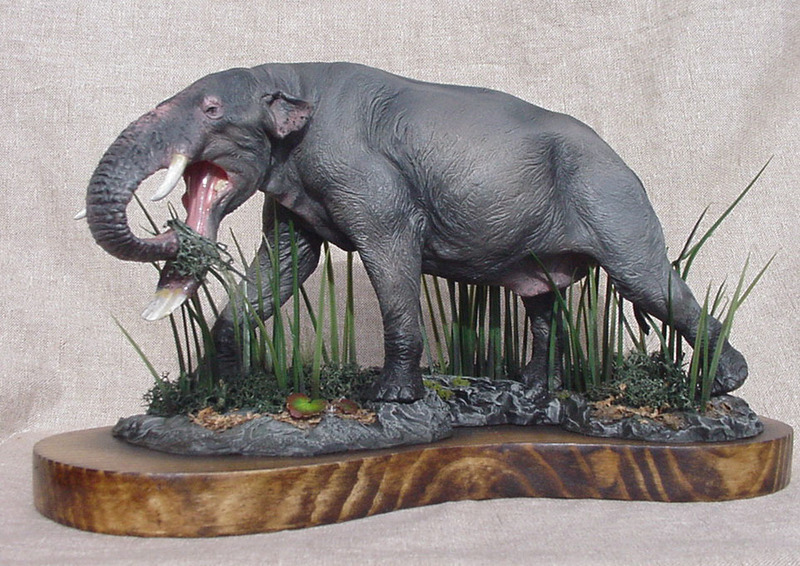 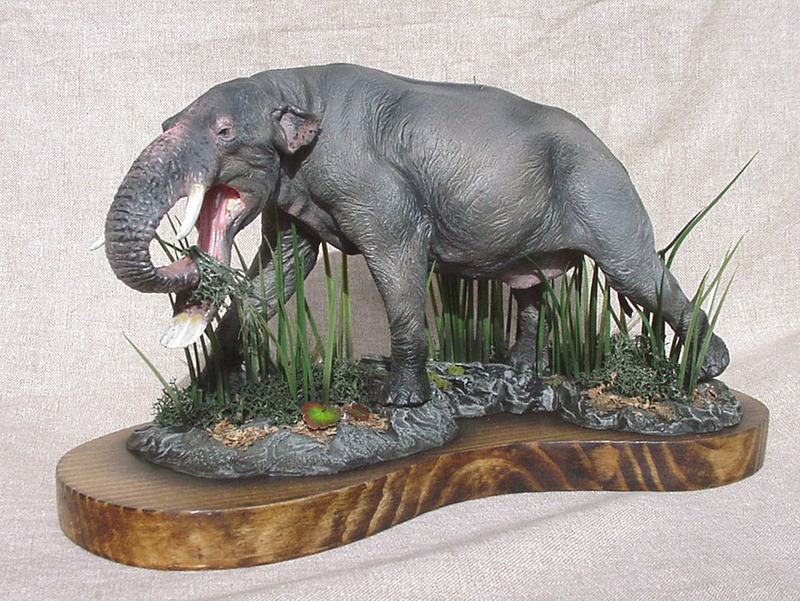 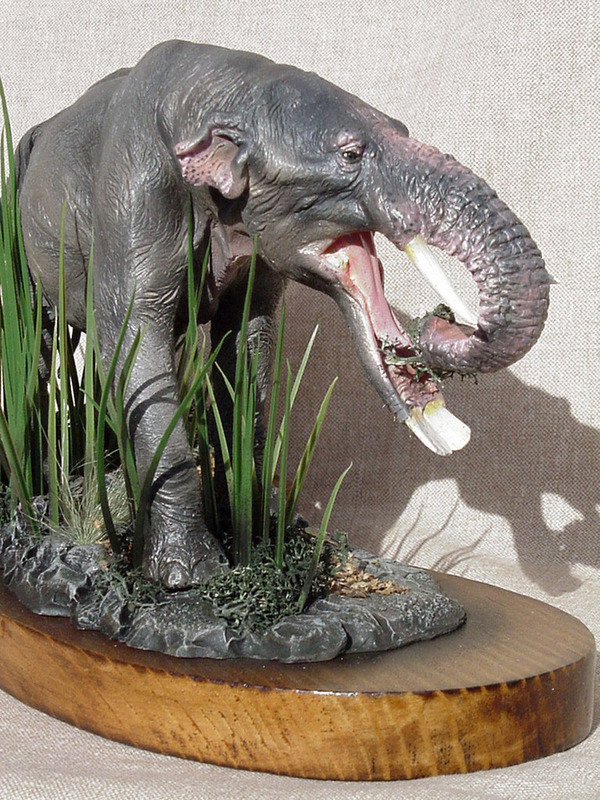 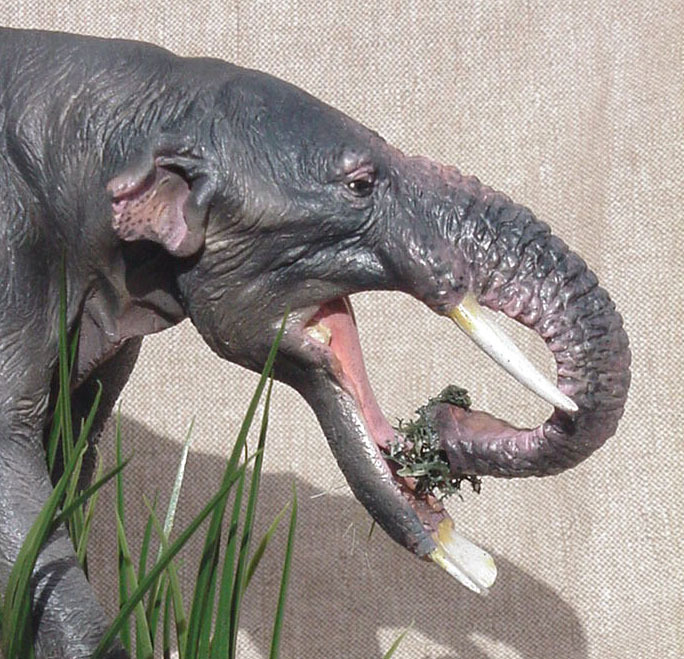 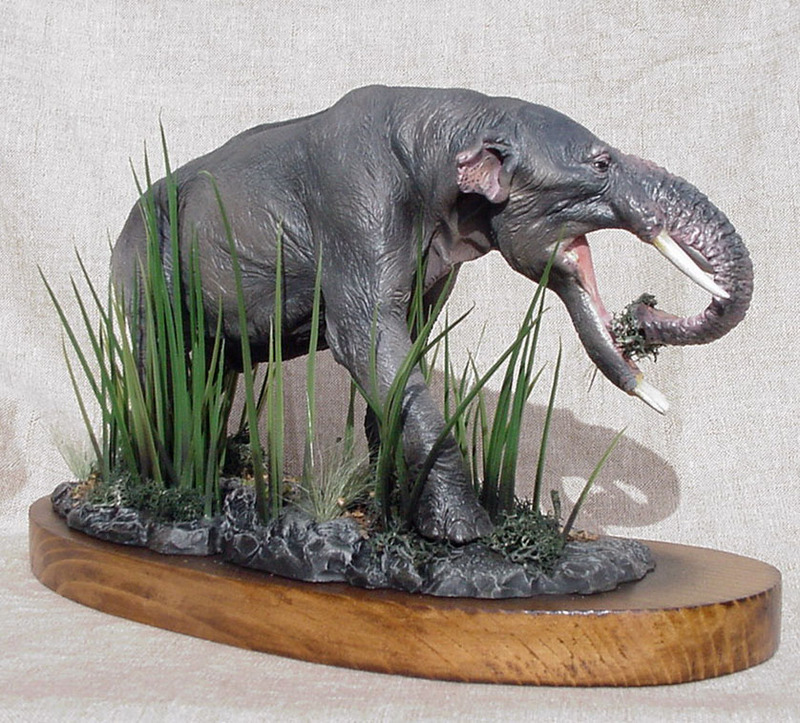 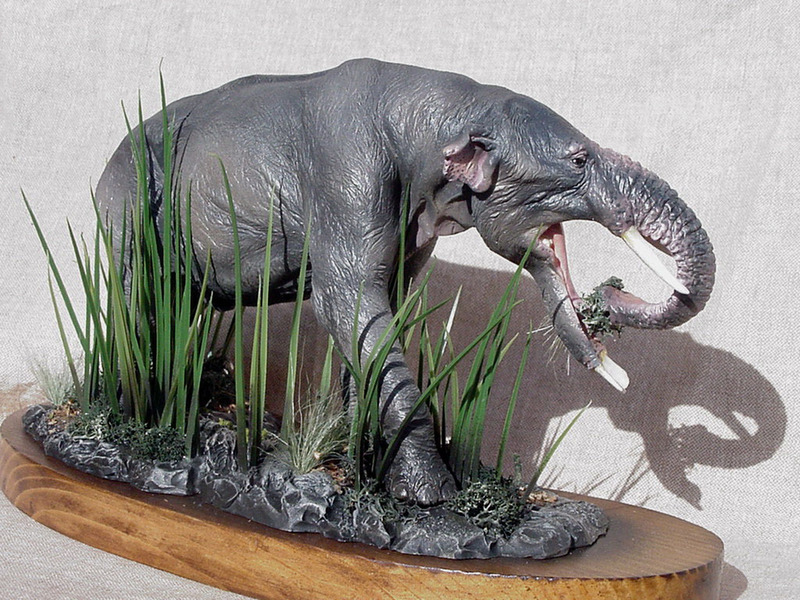 Platybelodon: Approx.1/20 scale, 10 piece model, choice of 2 trunks. 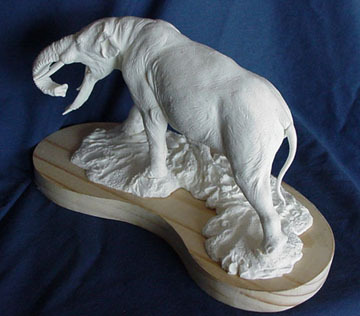 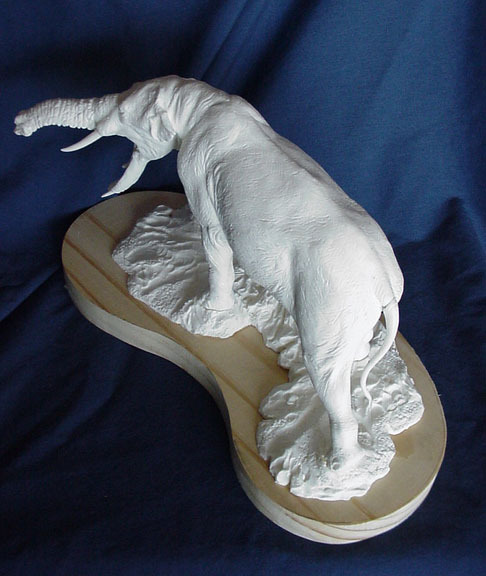 Trunks, tusks, tail, body and legs all cast separate. 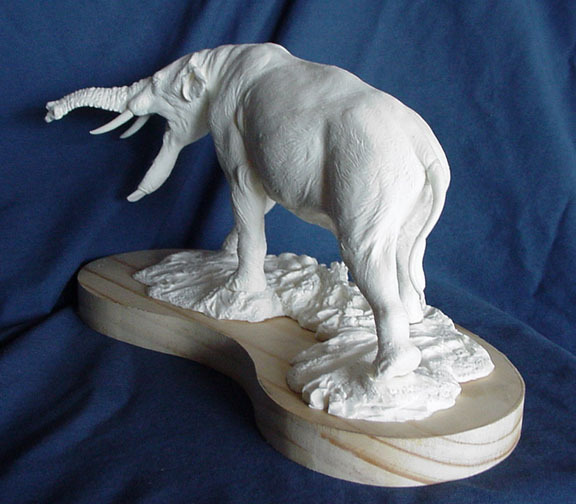 Included is a simulated terrain base with clearly marked footprints for easy positioning as well as a contoured pine base for display. 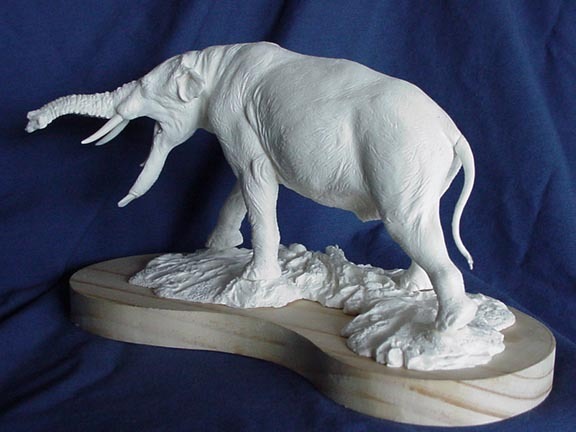 The model comes unpainted easy to assemble. 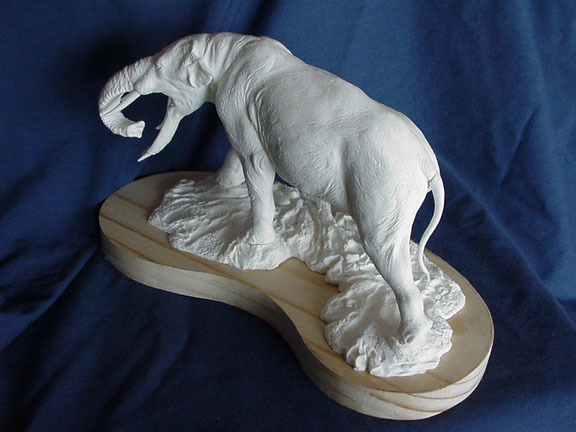 Some putty work and texturing is needed around the seams before painting. 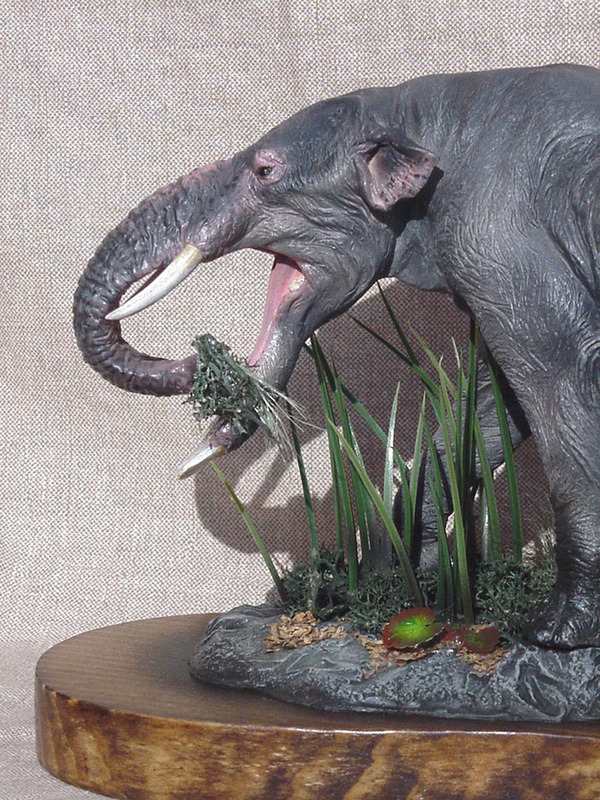 Platybelodon cost $126.00 plus $10.50 for shipping and handling within the U.S.